Chi Wah has been at her craft since 1985. She always had a longing to do hair but it wasn't until her thirties that she felt comfortable jumping in. She started her career working under Karen Maccarone at Avatar. There she fell in love with AVEDA, and that began a thirty year relationship with the brand. Chi Wah has a love of learning and has taken years of advanced education all over the world. She has studied with AVEDA, Alexandre de Paris, Arrojo, Deva Curl, Goldwell, as well as others. She has started an apprenticeship program over 20 years ago and has taught most of the Aveda educated stylists in Rochester, many of which now own their own salons - a fact she is very proud of today. Chi Wah has four children and a granddaughter. She loves to knit, listen to live music, eat exotic food, as well as travel to visit her baby sister Mimi whenever possible. Bronwyn's start in the beauty industry began in 1995 as Chi Wah's first apprentice. She has completed many classes with Aveda over the years, including Runway Styling with Jon Reyman and the Aveda Master Color Series. Bronwyn's dedication to Aveda has also brought her to attend many of Aveda's Congress events, the company's very own showcase of the latest trends in hair and beauty. Bronwyn worked for Chi Wah for ten years, and then after almost a decade working at other local Aveda salons, Bronwyn returned home to Chi Wah Organica. When she isn't hard at work, she likes to spend time cooking, salsa dancing and skiing. Family means the world to her, and she enjoys spending her free time with her husband, Joey, and their daughters, Penelope and Isabel. Salena grew up in the beauty industry. Her mother, Chi Wah, always had her in the salons as a child. As an adult, Salena started working at Chi Wah Organica after moving back home from the University of Delaware in 2005 and has worked with the rest of the Chi Wah family ever since. After years assistant managing the salon she decided to attend Cosmetology school and graduated in 2008. Since then she continues furthering her education with Aveda, and has taken classes at Arrojo in NYC. Salena loves that her career has brought her to many fun cities as she loves to travel. She spends most of her free time with her partner Paul and their children, Ophelia, Miles and Viola. She loves to get a ride in on her Peloton bike, row, hike, or play with her dog Lola whenever she can squeeze in some time. Heather started her career apprenticing under Bronwyn at Tru Salon. She had taken some time off to raise her two younger children and came back behind the chair with us at Chi Wah Organica. She has a love of learning and in her spare time, Heather enjoys attending classes offered by Aveda as well as being a co-leader for her eldest daughters Girl Scout Troop. Her hobbies include, camping and fishing with her eldest son, crafting, painting, sports, and of course family time with her husband and four children. Corinne came to Chi Wah Organica in 2016 with twenty years of customer service experience and 2 years of Aveda knowledge under her belt. Her excellent multitasking ability, gracious personality, as well as her take charge attitude is what makes her such a pivotal part of our team. In her free time, she likes to attend her son, Ashton's, sporting events. She loves the outdoors, hiking, reading, listening to music, as well as spending time with her husband and their dogs, Bentley & Boomer. Katie joined our team in 2018, with over 15 years customer service experience. Her organizational skills, multitasking ability, and pure whit keeps the smiles large and the moral high at Chi Wah Organica. Katie loves dance, theatre and all things Macabre. During her free time she coordinates and performs in a local Dance & Sideshow Company. Katie will also be welcoming baby Rosie to the Chi Wah family come 2019. Ashley joined our team in 2017. She is an elementary school librarian, but finds her time at the salon to be a nice change of pace from her days at school! New to the industry, she enjoys talking with our clients and learning about Aveda. Her hobbies include travel, crafting, reading, and spending quality time with her boyfriend and their two cats. Grace graduated from Continental School of Beauty in 2017 in Esthetics. She first became interested in becoming an esthetician after getting a life changing facial as a gift for her 16th birthday. She has worked for a year as an esthetician doing facials, chemical peels, lash lifts, spray tanning and waxing before coming to us. Chi Wah & Salena brought Grace in to help grow our skin care department as well as help at the desk. 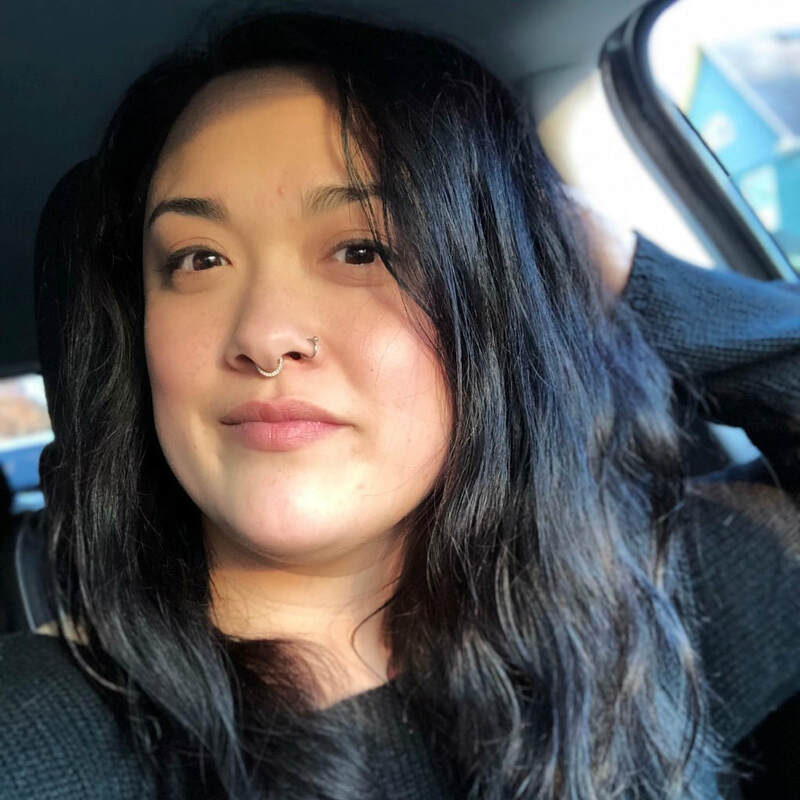 Grace is very passionate about offering the best for her clients and looks forward to learning more about AVEDA through our advanced education. When she isn’t with us, Grace is learning more about makeup, nannying, fitting in a workout, or listening to her favorite music. Chi Wah Organica is a mindful, professional, education driven, and career orientated Aveda Concept salon in Rochester, New York. Our Mission is to build a culture that promotes wellness, that strives for the highest form of team service, and nurtures your creativity. All while creating a truly caring and unparalleled experience for ever guest, everyday. We are always growing and have the opportunity available for an accountable, motivated, team member looking to grow their career with us. We offer Aveda Advanced Education to develop your technical skills. ​We have an in house apprenticeship program that is offered to all staff regardless of your prior training, where you will learn our foundations of cutting and multidimensional coloring using Aveda's Full Spectrum hair color. ​We offer full and part time positions with a cooperative team atmosphere that will support you in growing your business. We hold quarterly career and personal goal sessions to further your personal growth, development, and success. If you are looking to join our team, please click below to email us your resume and set up an appointment for an interview!